Every year that passes takes a certain toll on your skin. Sun exposure, severe weather and gravity can all contribute to noticeable signs of aging on your face and neck. Face lifts and neck lifts are effective ways to help you restore and rejuvenate your youthful appearance. If you would like to beautifully refresh your appearance with a facelift or neck lift, please call Synergy Medical Aesthetics today at 250-591-1566 to schedule a personal and confidential consultation with board-certified plastic surgeon Dr. Philip Barnsley. Our office in Nanaimo proudly serves the entire Central Vancouver Island area. A face lift is a fully customized plastic surgery procedure designed to enhance the appearance of your face and jaw by reducing wrinkles and other signs of aging. Your unique set of goals and characteristics will determine which of the many surgical techniques Dr. Barnsley will utilize in your procedure, but face lifts generally remove excess, drooping skin, tighten sagging muscles and skin and smooth folds and wrinkles. Most often, patients will elect to address loose and sagging skin around their necks in the same procedure by combining a neck lift with their face lift surgery. This common combination of procedures ensures a comprehensively youthful and natural-looking result. 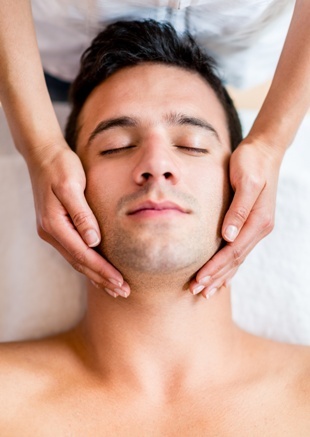 These techniques are used to rejuvenate the appearance of your neck according to your individual needs and goals. How Much Does a Face Lift and Neck Lift Cost? Just as no two faces are exactly the same, the cost of a face lift or neck lift will vary from patient to patient. The amount you can expect your procedure to cost will depend on several factors, such as what you hope to accomplish, the degree of skin sagginess and whether you choose to combine a neck lift with your face lift. During your consultation with Dr. Barnsley, he will carefully work to understand your goals, answer all of your questions, explain all of your options, which may include non-surgical treatments, and provide you with a cost estimate. There aren’t many areas of your body as important to your self-image and confidence as your face. Dr. Barnsley understands how crucial it is to obtain results that are both elegant and natural-looking. To schedule a consultation with Dr. Barnsley to discuss a face lift or neck lift, please contact Synergy Medical Aesthetics today online or at 250-591-1566. We welcome patients from Nanaimo and throughout Central Vancouver Island.